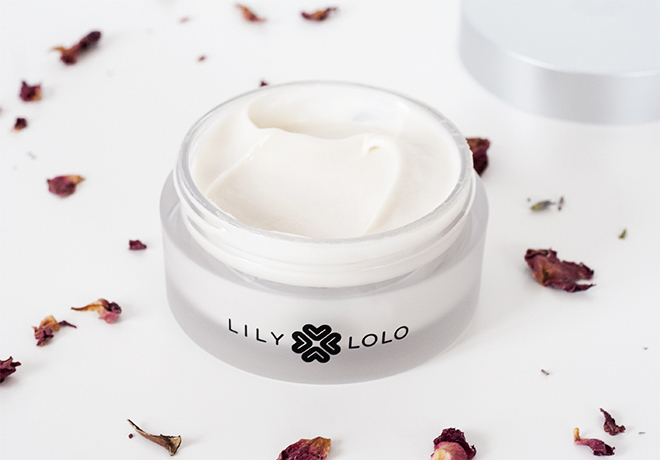 Lily Lolo is well-known for its mineral makeup, but did you know that it has a range of skincare products? It’s not a wide range (at least, for now) and contains a BB cream, a mist, and a pair of brand new face creams: Hydrate Day Cream and Hydrate Night Cream. The latter is what I’m going to be reviewing in this post today. These vegan creams were formulated with a normal skin type in mind and strive to provide an optimal hydration and skin renewal processes. The main ingredients ensuring these aims are sea plant stem cells and vitamin E together with argan oil, jojoba oil, and hyaluronic acid. Both of these products have a similar gentle scent, which comes from rose geranium. Also, I like the simplicity of the packaging. One of the main advantages of this day cream is its packaging. It comes in a slim container with a dispenser, which makes it very convenient (and pleasant) to use. 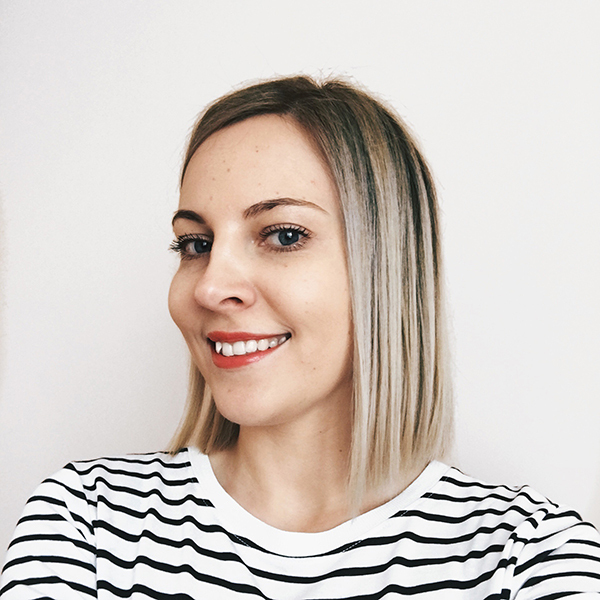 As I mentioned above, this day cream is created for normal skin types, which means it has light, non-greasy consistency that melts right into the skin. However, because it’s so light, it leaves my skin feeling tight and uncomfortable. And my skin isn’t that dry at the moment. 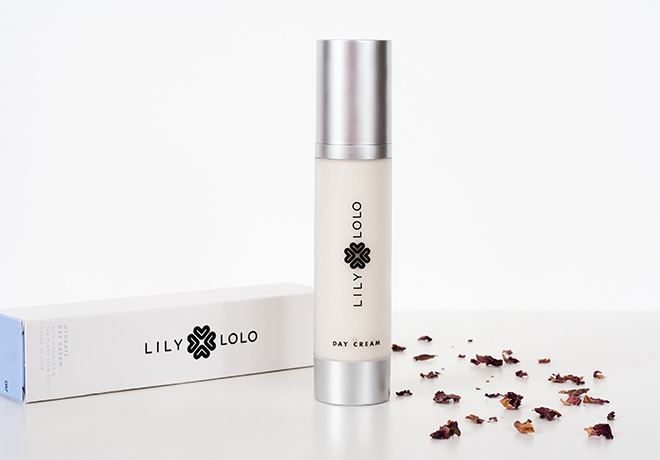 I feel bad not liking it because I love many Lily Lolo products to bits, but I’ve tried using this day cream in different ways, and it just does not work for my skin at all. 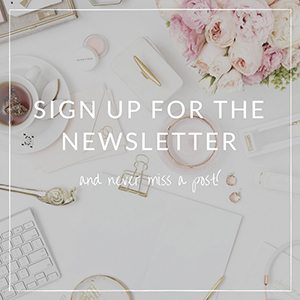 Aqua (Water), Caprylic/Capric Triglyceride, Simmondsia Chinensis (Jojoba) Seed Oil, Glycerin, Sorbitan Olivate, Cetearyl Olivate, Argania Spinosa (Argan) Kernel Oil, Squalane, Benzyl Alcohol, Cetyl Palmitate, Sorbitan Palmitate, Xanthan Gum, Aloe Barbadensis Leaf Juice Powder, Sodium Benzoate, Potassium Sorbate, Tocopherol, Allantoin, Eryngium Maritimum Callus Culture Filtrate, Pelargonium Graveolens (Rose Geranium) Flower Oil, Dehydroacetic Acid, Helianthus Annuus (Sunflower) Seed Oil, Sodium Hyaluronate, Citronellol, Geraniol, Linalool, Citral, Limonene. Vegan. This one I like so much more than the Day Cream because I can instantly feel the results it provides. The consistency of the Night Cream is nice and nourishing, but it does not overload the skin with greasiness as some night creams do. It sinks in fast, leaving the skin soft and satin but almost matte. Although it’s created for normal skin types, I think it would be fitting for combination/oily or slightly dry skin types as well. Especially, with the cold winter season around the corner. Aqua (Water), Simmondsia Chinensis (Jojoba) Seed Oil, Caprylic/Capric Triglyceride, Sorbitan Olivate, Glycerin, Cetearyl Olivate, Squalane, Argania Spinosa (Argan) Kernel Oil, Cetyl Palmitate, Benzyl Alcohol, Sorbitan Palmitate, Xanthan Gum, Hydrogenated Castor Oil, Aloe Barbadensis Leaf Juice Powder, Sodium Benzoate, Potassium Sorbate, Tocopherol, Allantoin, Eryngium Maritimum Callus Culture Filtrate, Pelargonium Graveolens (Rose Geranium) Flower Oil, Lavandula Angustifolia (Lavender) Oil, Dehydroacetic Acid, Helianthus Annuus (Sunflower) Seed Oil, Sodium Hyaluronate, Linalool, Citronellol, Geraniol, Citral, Limonene. Vegan. 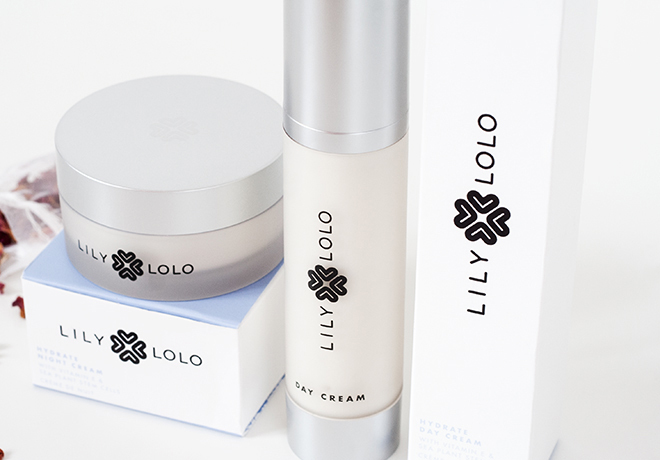 Lily Lolo Hydrate Day and Night Creams are available to purchase now at Lily Lolo. 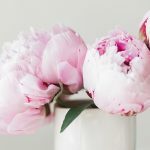 I’d love to hear if you’ve tried any of these creams? Did you like them? Yes, the night cream worked so much better for my skin!